Wakefield, MA and Cleveland, OH – February 23, 2017 – Edgewater Technology, Inc. (“Edgewater” or the “Company”) (NASDAQ: EDGW) and Ancora Advisors, LLC (together with its affiliates, “Ancora”), a 9.2% stockholder of Edgewater, announced today that the Company has received consents from the holders of a majority of its common stock in respect of Ancora’s previously announced consent solicitation. The written consent of the Company’s stockholders removes four current members of the Board of Directors of Edgewater, replaces them with Ancora’s director nominees, and makes certain changes to the Company’s governing documents to enable such actions. 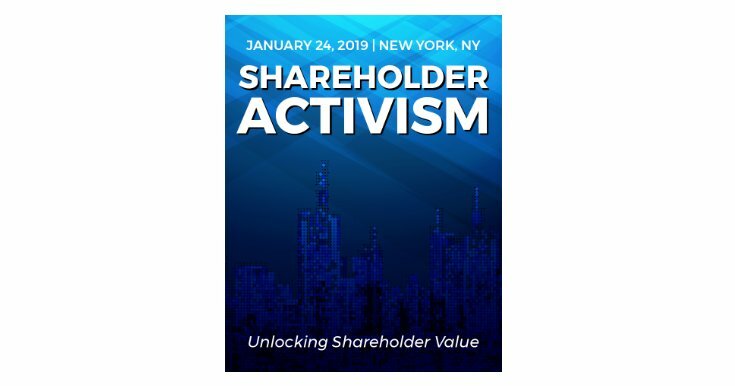 Effective as of February 16, 2017, the date on which Ancora presented the Company with the required number of shareholder consents, Ancora nominees Matthew Carpenter, Frederick DiSanto, Jeffrey L. Rutherford, and Kurtis J. Wolf joined Edgewater’s Board of Directors. Current Edgewater Directors Paul E. Flynn, Paul Guzzi, Michael R. Loeb and Wayne Wilson will no longer serve on the Board of Directors, effective as of February 16, 2017. Current Edgewater Directors Stephen R. Bova, Nancy L. Leaming, Shirley Singleton and Timothy Whelan will remain on the Board. Edgewater helps business leaders drive transformational change through its unique selection of business and technology services and specialized product-based solutions. Classic consulting disciplines (such as business advisory, process improvement, organizational change management, M&A due diligence, and domain expertise) are blended with technical services (such as digital transformation, technical roadmaps, data and analytics services, custom development, and system integration) to help organizations get the most out of their existing IT assets while creating new digital business models.Delivering both on premise and in the cloud, Edgewater partners with Oracle and Microsoft to offer Business Analytics, BI, ERP, and CRM solutions. Edgewater Ranzal, an Oracle Platinum Consulting Partner, provides Business Analytics solutions leveraging Oracle EPM, BI, and Big Data technologies. As an award-winning Microsoft partner, Edgewater Fullscope delivers Dynamics AX ERP, Business Intelligence, and CRM solutions, with a specialty in manufacturing. Ancora Advisors, LLC, is a registered investment adviser with the Securities and Exchange Commission of the United States. Ancora offers comprehensive investment solutions for institutions and individuals in the areas of fixed income, equities, global asset allocation, alternative investments and retirement plans. A more detailed description of the company, its management and practices are contained in its “Firm Brochure” (Form ADV, Part 2A). A copy of this form may be received by contacting the company at: 6060 Parkland Boulevard, Suite 200 Cleveland, Ohio 44124, Phone: 216-825-4000, or by visiting the website, www.ancora.net/adv. changes in the Company’s utilization levels. In evaluating these statements, you should specifically consider various factors described above as well as the risks outlined under “Part I – Item IA. Risk Factors” in our 2015 Annual Report. These factors may cause the Company’s actual results to differ materially from those contemplated, projected, anticipated, planned or budgeted in any such forward-looking statements. Although the Company believes that the expectations in the forward-looking statements are reasonable, the Company cannot guarantee future results, levels of activity, performance, growth, earnings per share or achievements. However, neither the Company nor any other person assumes responsibility for the accuracy and completeness of such statements. Except as otherwise required, the Company undertakes no obligation to update any of the forward-looking statements after the date of this document to conform such statements to actual results.